Storytelling in sales has always been part of sales pitch to explain the product better to consumer in a manner he/ she understands. For example: product specifications are facts of a product but no sales happens until those specifications are explained to a prospect buyer in a manner it makes sense to him. Let’s take an example – a LED TVs has 4K resolution. How many people would be able to make a sense out of it? It’s salesman’s job to explain to prospect buyer that how 4K resolution delivers better picture quality and hence better TV viewing experience. In today’s competitive market when products are more are similar and there is hardly any difference between competing brands, salesman is the biggest differentiator. No wonder, brands which has better trained sales team gets sold more. 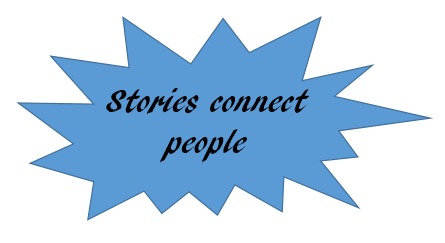 Best way of using storytelling in sales is very effective when its used at relevant point as personal experience of salesperson or of another customer. Sharing other customer experience as storytelling not only adds testimonial value to product but also helps prospect customer in reaching on a buying decision. Both logical and emotional reasons can be explained beautifully to prospect buyer through a story. It helps build trust, present facts around the product in an interesting manner and motivate buyer to buy the product. However, honesty is always best policy. Story telling doesn’t mean that a sales person should twist the facts and and start lying. Any such thing may not help in long term to both in terms of sales of product and career of sales person. Is telling the story as it is a recipe for driving away prospective customers to a competitor who is offering a similar service, but with a sugar-coated sales pitch? When did honesty cease to be the best policy?